This section of our technical library presents information and documentation relating to Call Center Customer Applications, specifically Call Center Customer Applications. Since the Company's inception in 1978, DSC has specialized in the development of communications software and systems. Beginning with our CRM and call center applications, DSC has developed computer telephony integration software and PC based phone systems. These products have been developed to run on a wide variety of telecom computer systems and environments. The following are articles and information relating to Call Center Customer Applications. Database Systems Corp. (DSC) offers complete inbound and outbound automatic call center phone services. Our inbound call center services process phone calls using our interactive voice response (IVR) system that answers calls without an operator. Outbound call center services include voice broadcasting that allows you to send simultaneous messages to customers, clients, or employees without the need for operators. If your organization is looking to reduce costs and to improve service, you can now contract our inbound call center phone answering service and outbound voice messaging programs using our call center. As designers of call center systems and phone answering software, DSC is uniquely positioned to manage your call answering campaigns saving your organization both time and money. Because our call center outsourcing software was created in-house, we can deliver comprehensive automatic call center outsourcing quickly -- providing you with a competitive advantage in the marketplace. From external database access to web integration including XML messaging, DSC can provide very custom phone applications. 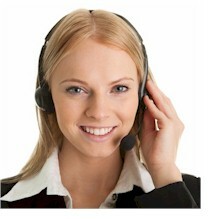 Plus you will find our call center outsourcing service to be quite affordable. Contact Database for a FREE analysis and quote and to learn more about our call center outsourcing services.